It's that time again... we invite you to enter our Annual Christmas Card Contest! Bring in your handmade cards for a chance to win something wonderful! Cards can be Hand-stamped or Paper-crafted! Three Categories: Quick & Simple or Embellished & Enhanced. Kids card category for school aged kids! Submissions will be accepted until Dec. 6, 2008. All cards will be displayed in the store & Customer voting begins Dec. 8. Winners will be announced by Dec. 23. Customer votes (in store and online) will be taken into consideration, so come in and cast your vote! 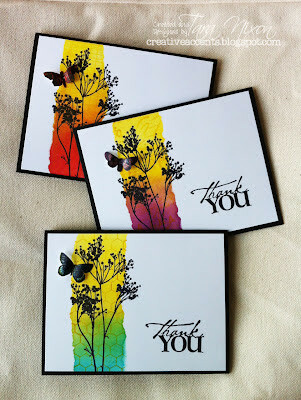 - Cards must feature products sold in our store (not a home party company)as their focal point. - All (adult) entries become property of Creative Accents (we suggest you make one to keep!). Kids cards will be returned to them. All entrants will receive a ‘thank you’ discount coupon!